The trip to Norway continues. Spotting the jumping salmon, fly fishing a quiet sea run trout pool, and fixing a mushroom risotto with a Trangia cooker. The outdoors are pretty awesome, even if the fishing is quiet. 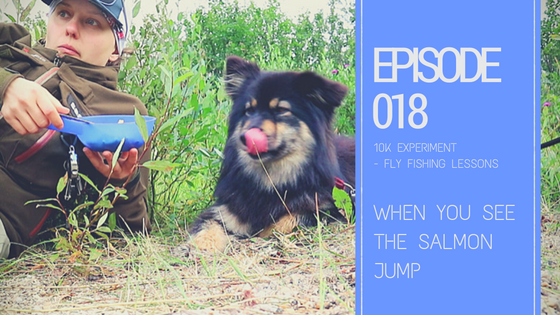 Episode 018 of 10K Experiment – Fly Fishing Lessons. Hours 116 to 138 out of 10000.